Off to our second stop on the trip, the lovely city of Jimbaran! 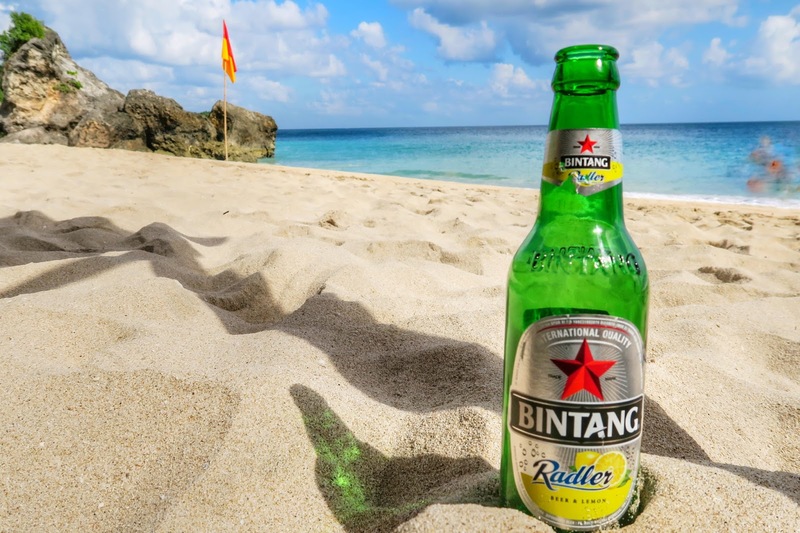 Jimbaran is not a particularly popular destination when you hear of Bali, compared to other go-to cities. This is all the more reason for heading down and exploring this hidden gem yourself. Jimbaran is located 20 minutes south of the airport. 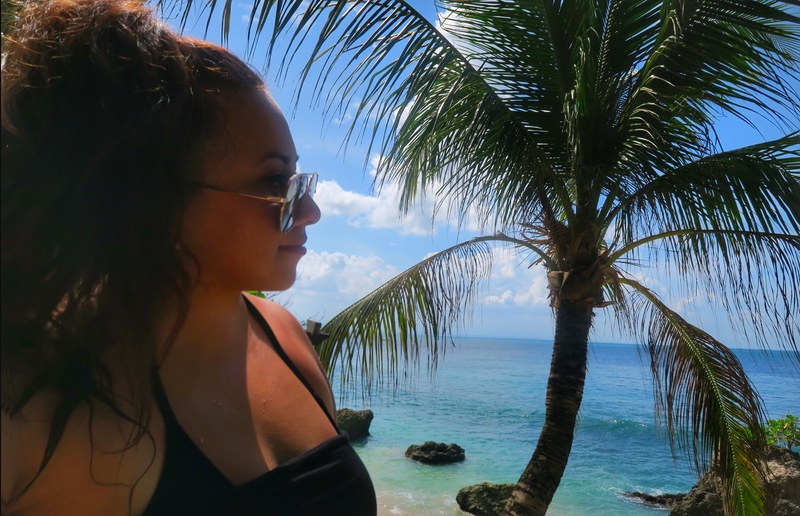 With undisturbed coastlines, secluded beaches, turquoise waters, and breathtaking sunsets- do I have to do anymore convincing as to why you should stay in this area when visiting Bali? With many high end resorts and designer villas, there's still untouched areas of Jimbaran Bay that give you that local feel. It's so different to any place I have ever traveled to before. With many areas where resorts are located, you tend to loose the local culture but this city blended the two perfectly. 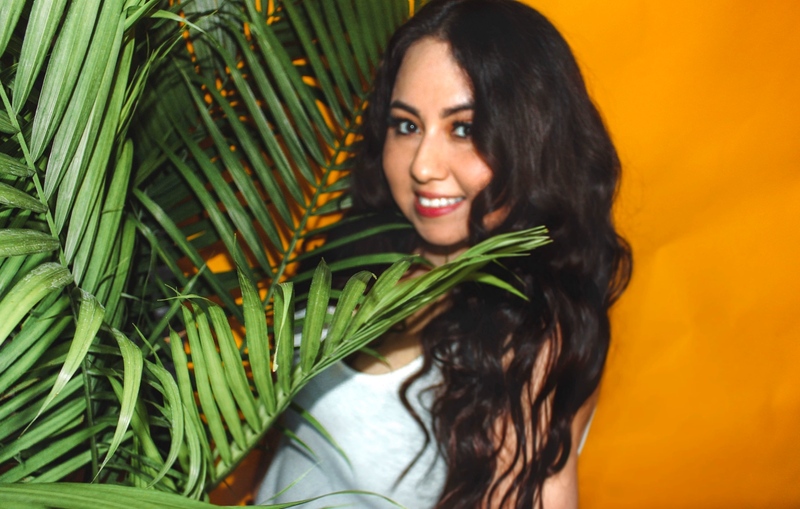 Keep scrolling to check out what I go up to in the city! Splurge on a Luxurious Accommodation. 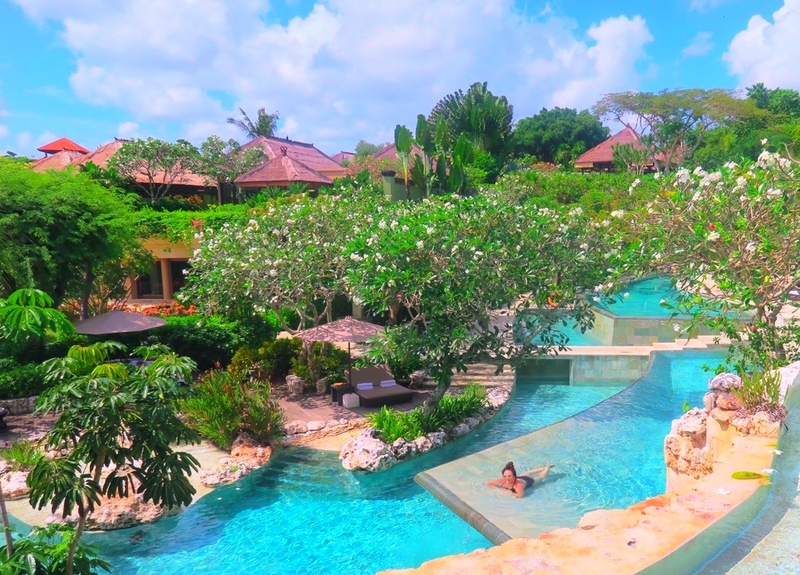 Bali has pretty affordable accommodations but if you want to splurge on a luxurious experience for a few days during your trip, do it in Jimbaran! There are mid-range to more upscale resorts and villas in the area. If you want to read more on where I stayed in Jimbaran (click here) for further details! 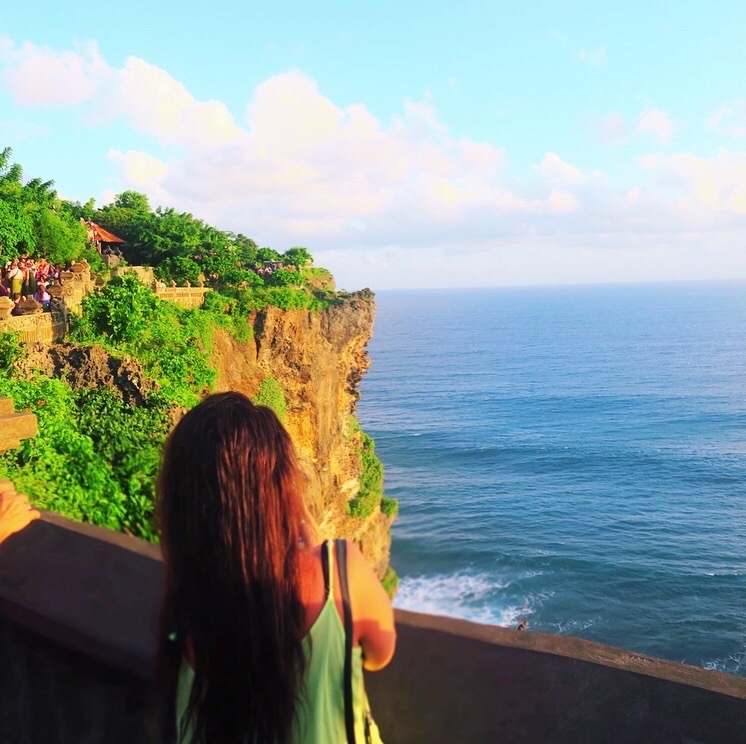 Visiting the Uluwatu Temple (Pura Luhur Uluwatu) is must when staying in Jimbaran. 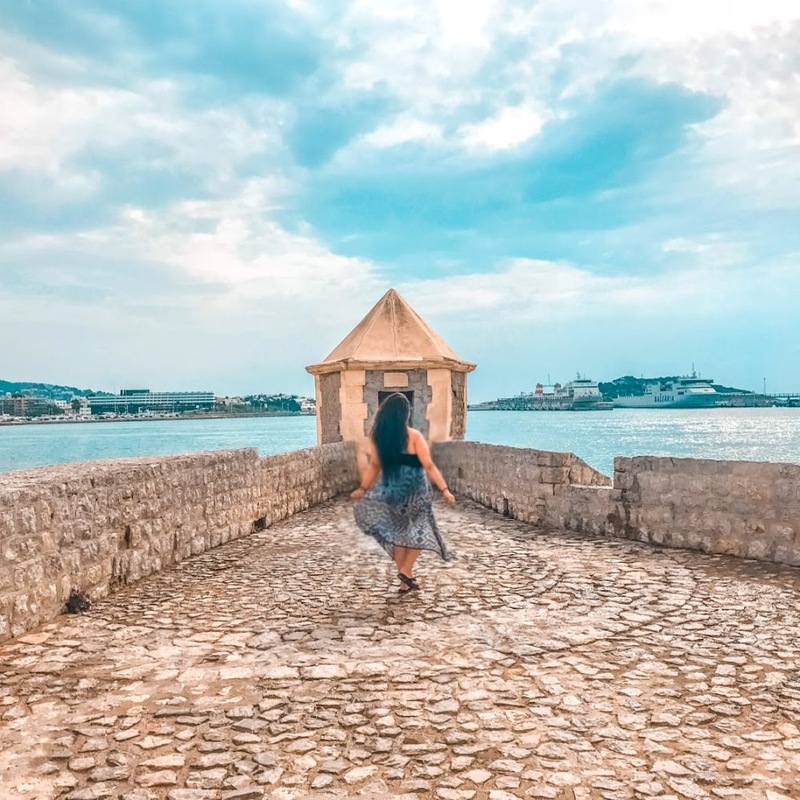 Just a short taxi ride away, you will see breathtaking views of one of the most iconic sights on the island. 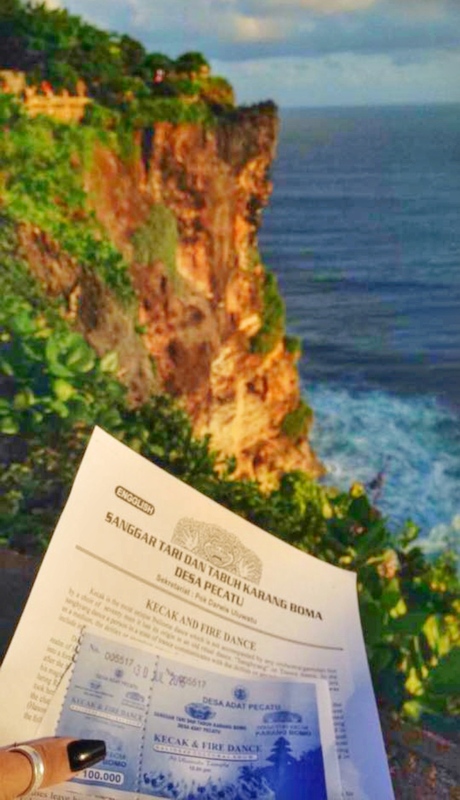 This temple sits on scenic cliff looking over the Bukit peninsula and it's one of the most important sea temples in Bali. 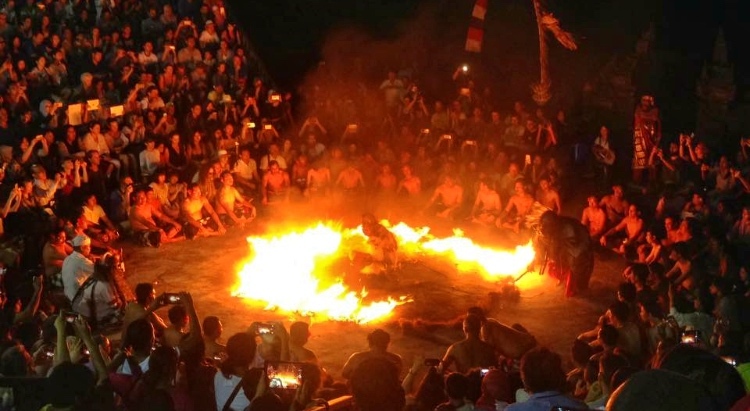 We made it just in time for sunset and to see the kecak dance performance, which is performed every evening at 6pm. This is a popular attraction at sunset, so make you come early to get seat! Have Dinner on the Beach. 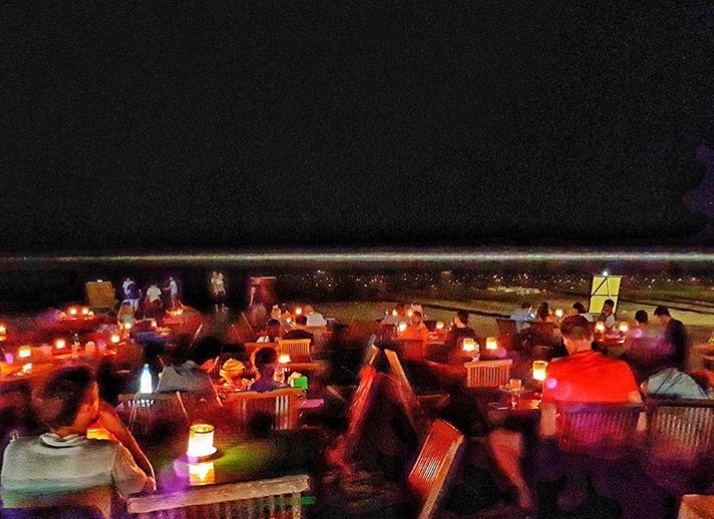 Seafood lovers, having dinner on the beach in Jimbaran is must! There are clusters of seafood restaurants on the beach in Jimbaran. There are many forms of entertainment happening while your eating such as fire performers, a band serenading tables in different languages, and dancing! We were told to visit this beach by a couple of people and so glad we did! 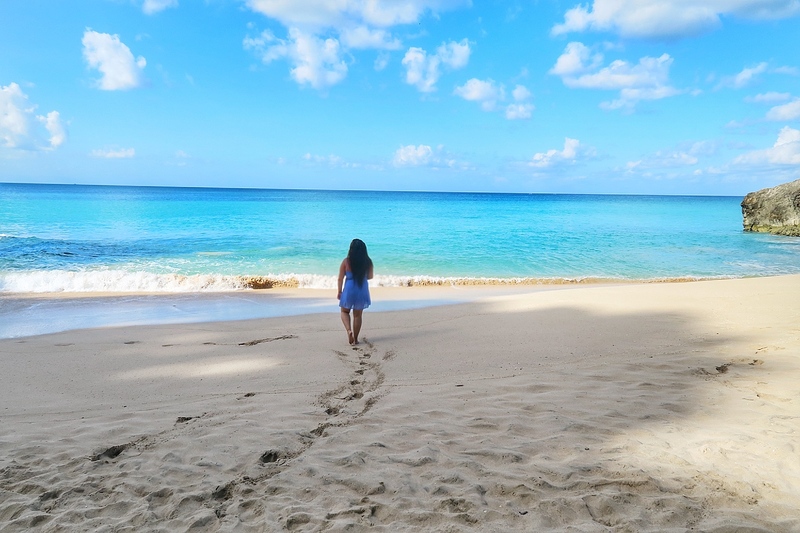 Sultan beach (or also known as Blue Point beach) is a hidden gem! 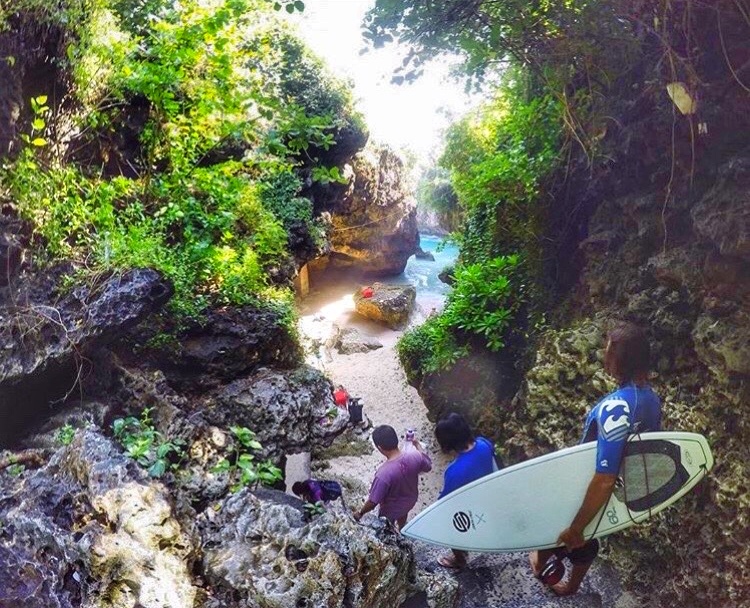 To get to this place, you have to walk down a series of stairs and sketchy wooden ramps to finally arrive to the cave/beach. 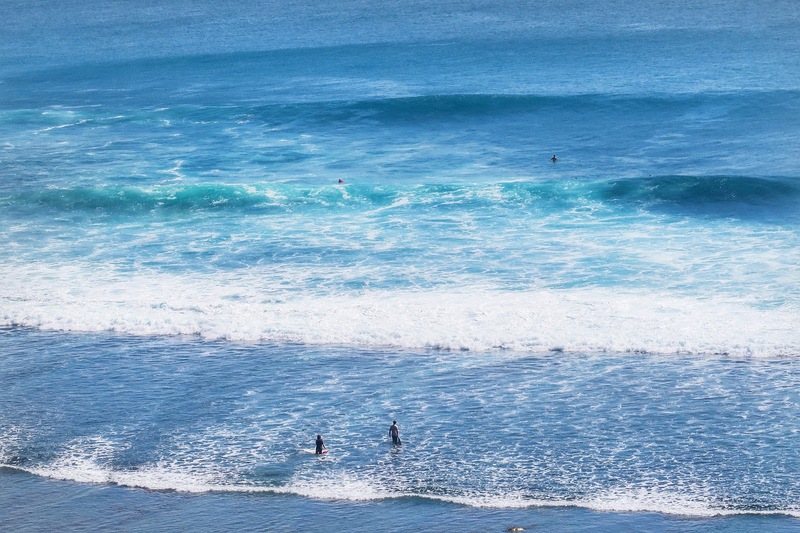 This area is known as one of the best places for surfing. 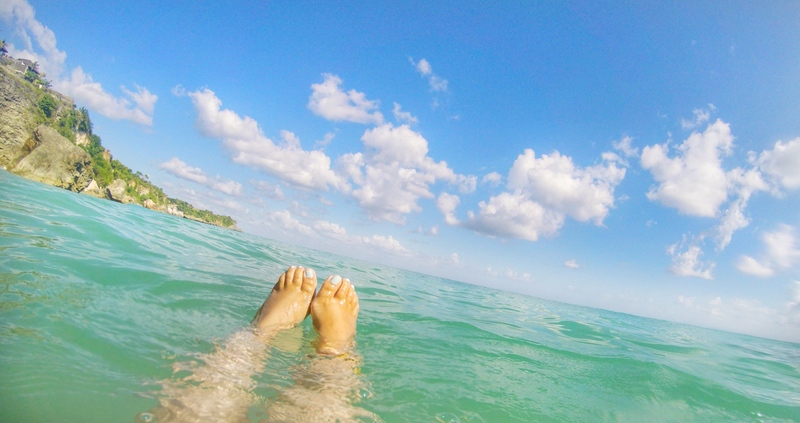 If you're not into surfing, don't worry, you can lay out and sun bathe or swim i the water. Have Lunch at Single Fin. 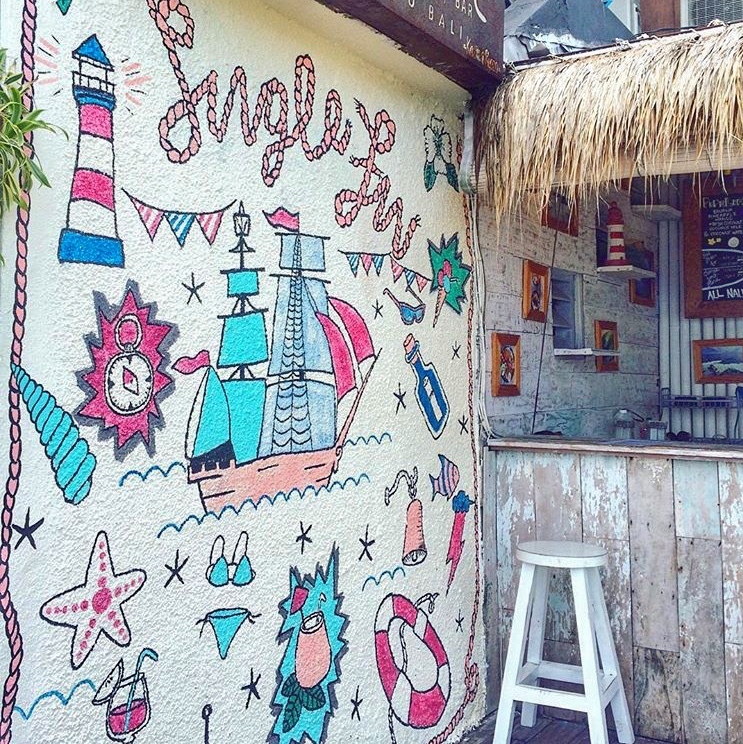 After swimming and sunbathing in the water, check out Single Fin for lunch or dinner. Let me warn you to get up there from the beach, you have to walk up lots and lots of stairs! After that nice workout, reward yourself with some food at Single Fin and enjoy your meal with an amazing view! It a quintessential surfers hangout, with views over the Indian Ocean, watching people surf, chill vibes, and great food. During the day it's pretty quiet but when sunset hours peaks, it becomes more lively! Treat Yourself with Nalu Bowls. 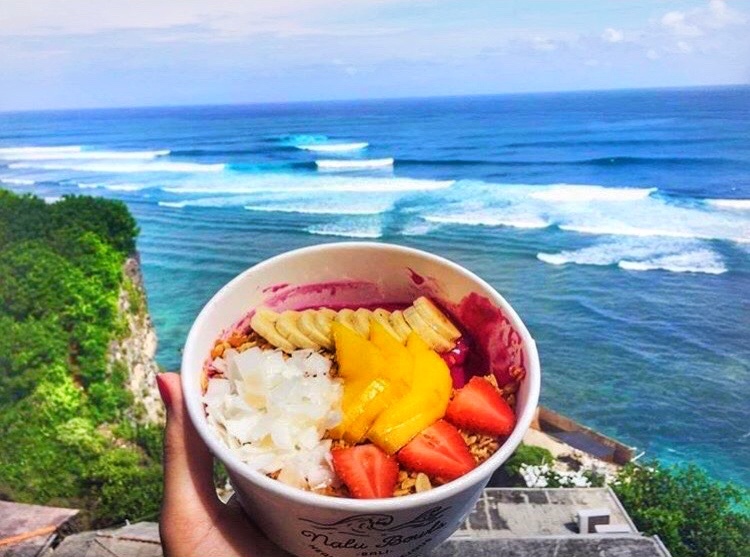 For the best acai bowls in Bali, you must try Nalu bowls! It's conveniently located right next to Single Fin, and it's always busy. they have many acai bowls to choose from and also have the option to customize your toppings. 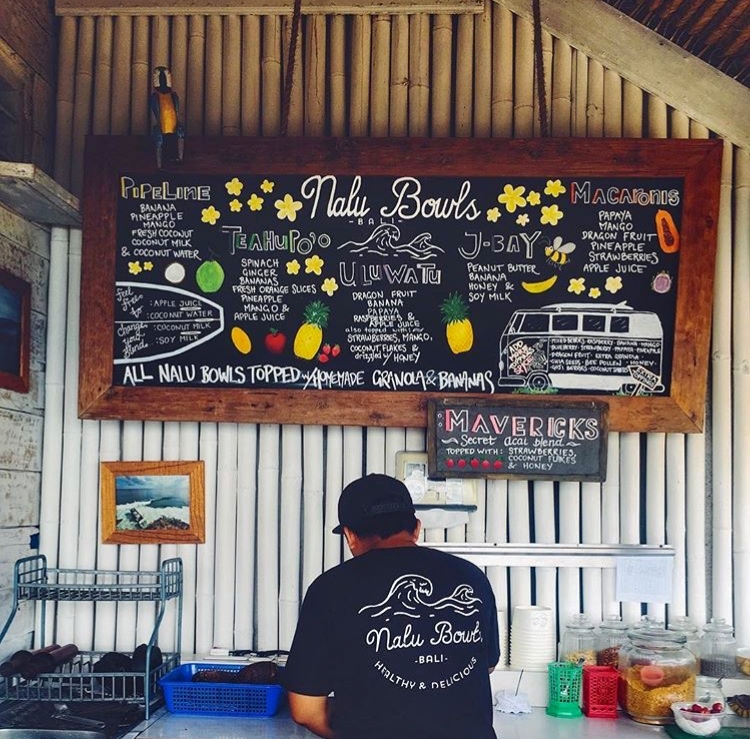 Nalu bowls are located all over Bali, so it's definitely worth it to check it out, you won't be disappointed! Enjoy a Sunset at Rock Bar. 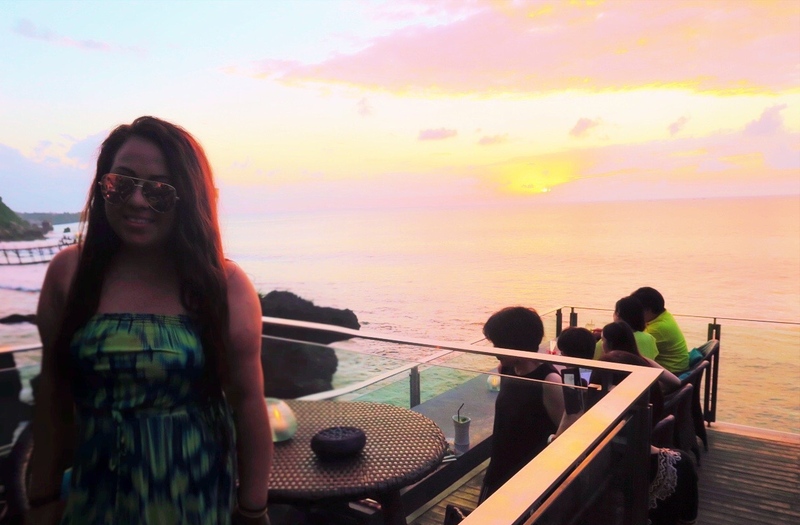 The Rock Bar at Ayana Resort is a stunning place to enjoy a drink and watch the sunset. It's also known as Bali's most famous bar! Even though it's usually busy and touristy especially during high season, I recommend checking it out! Since we were staying on the property, we headed down to the Rock bar for our last night there before checking out in the morning. 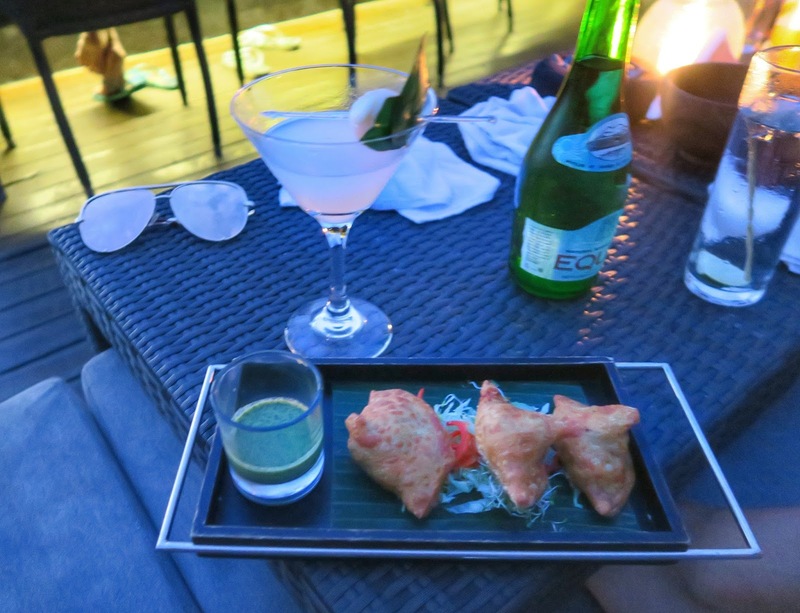 If you want to read more about my stay at the Ayana Resort (click here). 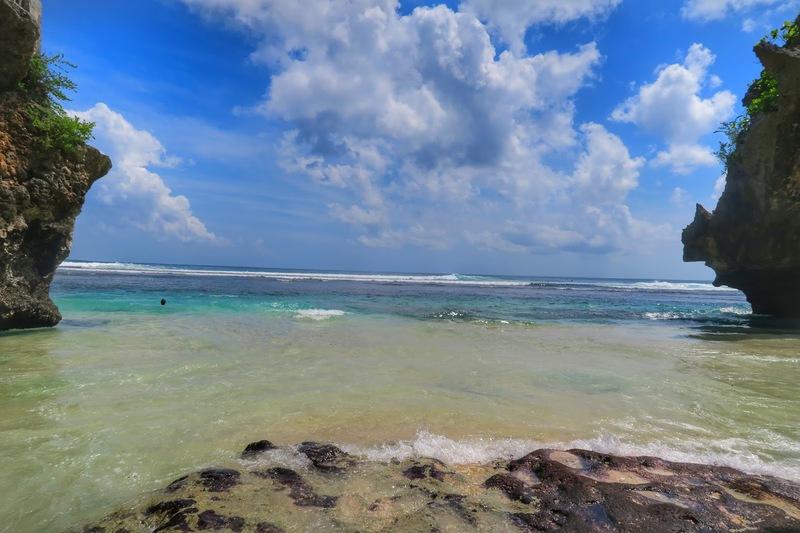 Jimbaran is known for it's calm and beautiful beaches. 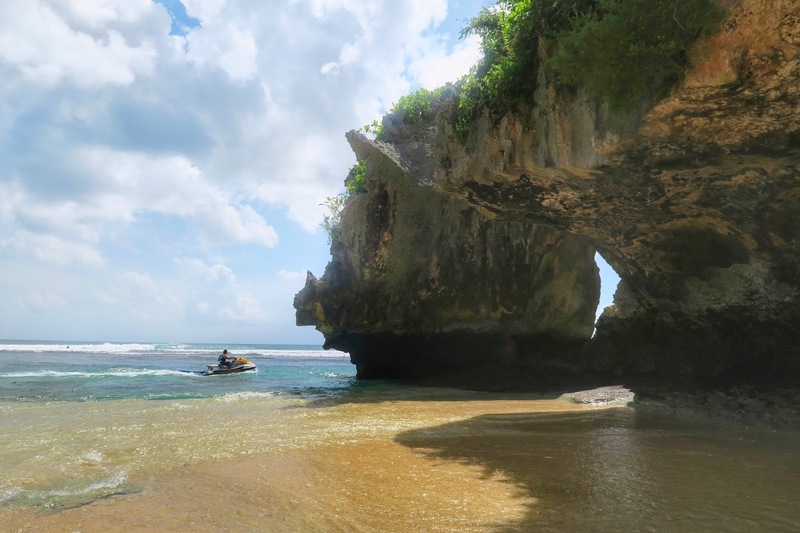 (There are many beaches to check out in Jimbaran that are public but these pictures are from the private beach I went to.) 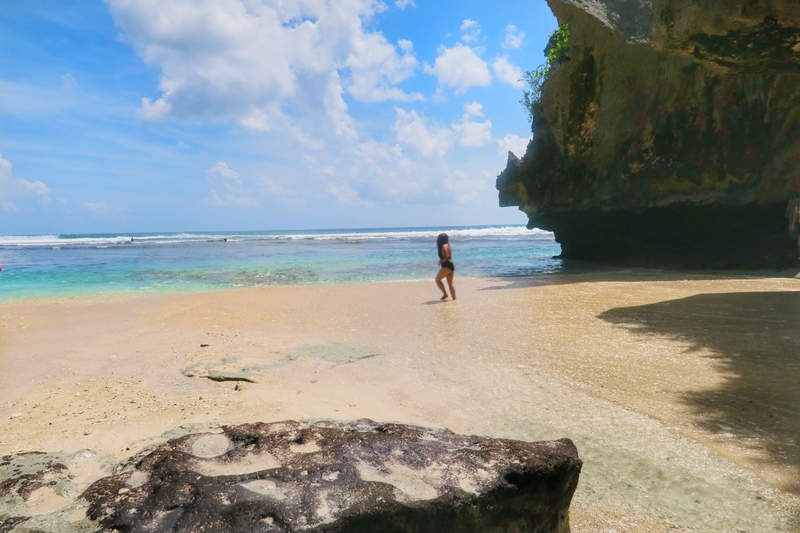 Before checking out of Ayana Resort & Spa, I decided to check out their private beach located on their premises. The views from the top of the stairs are breathtaking! 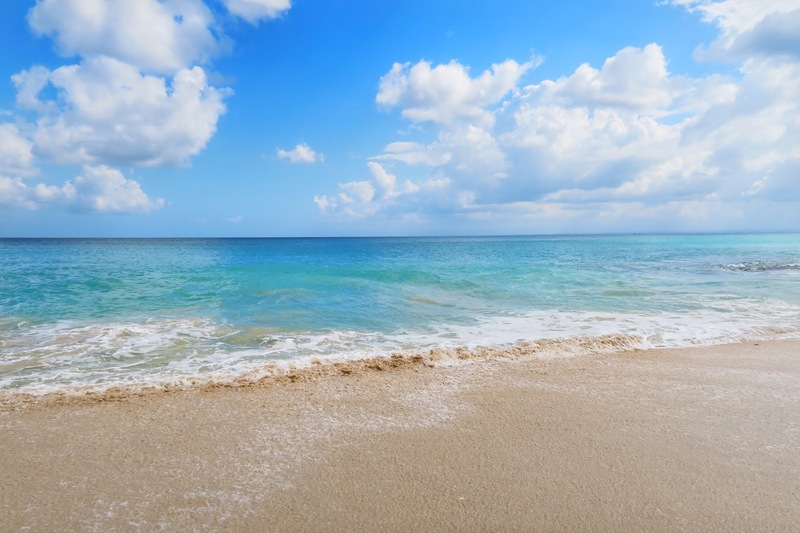 You're led to a secluded private quiet beach with barely anyone in it. The soft white sand, sound of the waves crashing, and the sun beaming on your skin felt like pure bliss. Just be prepared to your legs to burn when you have to walk up all those stairs! 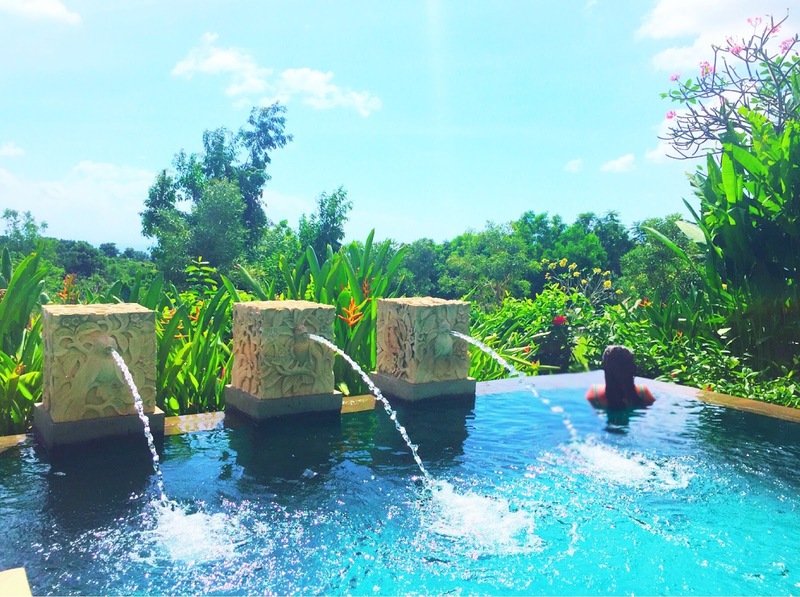 If you want to read more on my stay in Ayana Resort & Spa (click here). 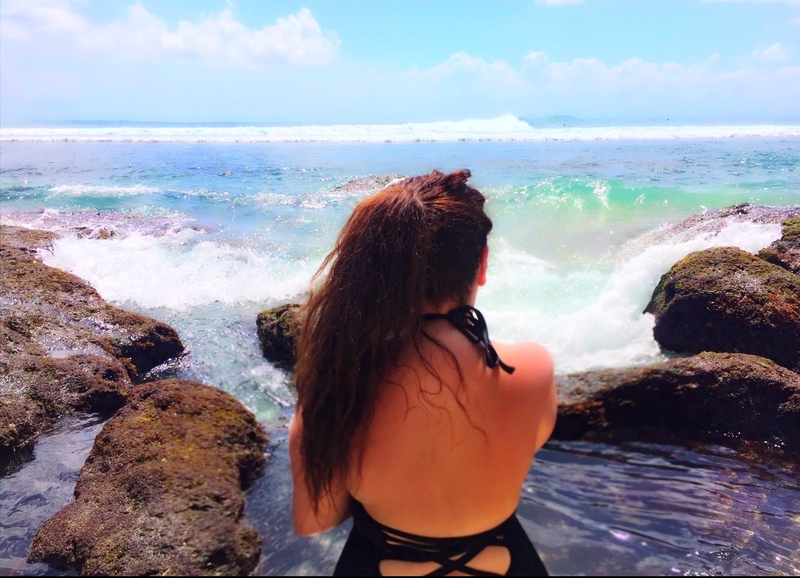 What places do you recommend to check out in Bali? Oh my God, this amazing and so timely. I have my schedule to visit Indonesia in few weeks and trust me, I'm sure going to visit the Uluwatu Temple. Thanks so much for this tip. Enjoy your trip, you will have a blast! This reminds me so much about my visit to Indonesia few months ago. I of course, had a great fun time surfing at the Blue Point beach. it was really an amazing moment. That's awesome, I've always wanted to learn how to surf! This is such an interesting read. 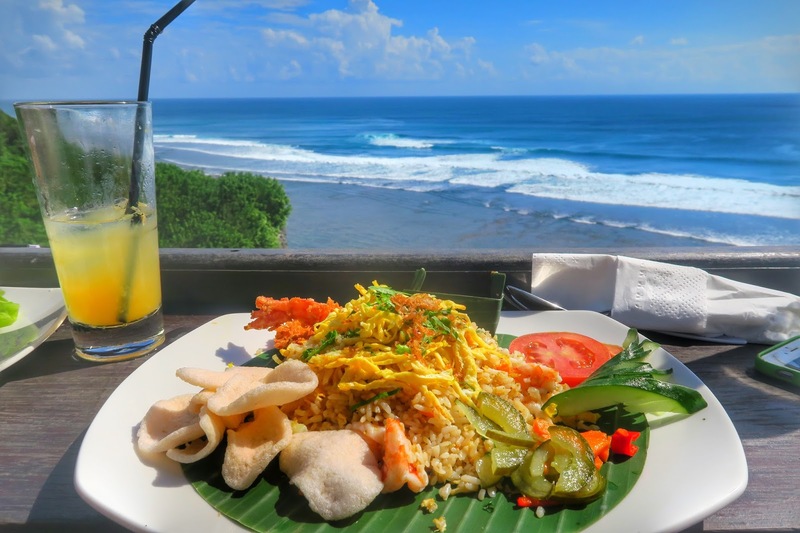 I am planing a trip to Bali soon and will follow your tips on adding Jimbaran to the itinerary. You're going to have an amazing time!